Earn Revenue from Your Dating Related Website. Niche Ad Network helps you increase the revenue generated from your dating related website. You’ve spent time and money creating interesting content, now it’s time to make money with it. Niche Ad Network will display targeted and relevant ads on your website and you’ll earn money every time your visitors click on one of the ads. Niche Ad Network has optional ad types for you to choose from so that you can generate the most income from your website. Websites have the potential to earn more money from their sites by using the Niche Ad Network Publisher Network System and by focusing ads on the specific niche for their site. At Niche Ad Network, it’s all about Publishers. So we want to make sure you’re well taken care of and by us doing that you’ll earn more money faster from your click value. A whopping 50% of the click value. We like it and we think it’s awesome. Our easy to use self-serving Publisher platform allows you to create ad zones, identify your target visitors and monitor your performance in real time. It is very easy to setup an account, login and continually monitor your revenue and performance on your computer or on the go. Some networks allow poor quality ads to run through their system. This is counter-productive to both our Publishers and Ad Network. We personally screen every ad that is served on our platform. 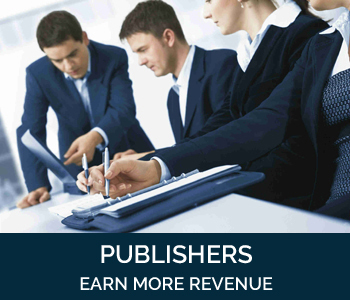 This ensures the highest quality and therefore the highest revenue for our Publishers. We understand how important user security is to our Publishers. Therefore we pride ourselves in developing software that consistently checks advertiser websites for malware or any other harmful activity. In addition, we have a dedicated quality management team screening websites as they are accepted to ensure integrity. We pay our publishers directly via PayPal on request once the minimum threshold of $100.00 is reached. It is simple, easy and fast to request a withdrawal and is normally processed within one working day. Other payment methods can be arranged for our larger publishers or for those who are unable to accept PayPal payments.